Respondents of TAdviser customers and suppliers of IT in 2018 predict intensive development of solutions based on the artificial intelligence (AI) and machine learning and turn on them in number of the most demanded technologies in Russia. 1832: Semyon Korsakov invents punched cards and 5 of "intelligent machines"
On March 5, 2019 the Microsoft corporation announced that the Russian leaders use possibilities of the artificial intelligence (AI) for business more actively, than their foreign colleagues. According to the research Business Leaders in the Age of AI of 30% of the Russian leaders actively implement artificial intelligence: on average in the world this indicator is equal to 22.3%, and for example, in France — only 10%. Researchers mean already mature stage of use of technology by active implementation. Researchers carried to the companies which actively are engaged in implementation of AI those organizations where the technology already became an official part of corporate strategy and also in what AI – an integral part of structure of the company, the technology is built already in processes, products and services, bringing value to all business – a stage 3 and 4 respectively. On these mature stages Russia is also in the lead. The Russian leaders took the second place on the level of the positive attitude towards AI: 73% of directors consider that the technology will positively affect their management activity. Also they showed much higher readiness for training and development of skills in the field of AI. 90% from them expressed desire to get support of professionals best of all and more effectively to work with this technology; in the world this indicator is 67.3%. At the same time 30% from them are ready to select time for adaptation to modern working conditions. In the world this digit makes only 20.3%. We see that interest in solutions based on artificial intelligence from business in Russia for the last year considerably increased. So, in 2018 our income from corporate projects using intellectual technologies grew by 63%. It is more and more heads of banks, energy, oil and gas, telecommunication companies understand that AI is necessary for successful business development. It is harder and harder to be left without intellectual technologies competitive in any industry. The large companies trust artificial intelligence processing of huge amounts of data, information search, use technologies for the analysis of documents, risks assessments and decision makings. It is sure that in the next several years most the successful companies in Russia will use intelligent solutions in different business processes. In addition, the Russian business leaders are distinguished by more responsible attitude to implementation of technology: 65% from them consider that responsibility for ethics of use of AI lies on the company executive. In the world of such point of view 53.9% of directors adhere. Besides, as a result of a research it was succeeded to reveal communication between use of artificial intelligence and growth rates of the company. 40.6% of heads of the fast-growing companies worldwide actively implement AI while among the slow-growing companies this indicator appeared more than twice less and made only 18.5%. The fast-growing companies also expressed readiness to implement AI in the most visible future: 93.2% of heads of such organizations intend to use AI at decision making within 1-3 years, in the slow-growing companies of 64% of heads will make it only within 3-5 years. Capability becomes one of the main qualities of the head to change and adapt to modern realities of the market. The artificial intelligence as technology has the enormous potential for business, and the one who before others will start its intelligent implementation, certainly will get competitive advantage. In this regard it is very pleasant to note that Russian leaders who traditionally differ in very high level of technology examination were the first in active implementation AI in the world. On February 27, 2019 the President Russia Vladimir Putin within implementation of the message To Federal Assembly charged to develop till June 15, 2019 national strategy in the area artificial intelligence. In addition, the president requires to implement the additional measures directed to stimulation of growth of investments into the hi-tech projects in the field of artificial intelligence, Internet of Things, robotics and processing of data bulks performed by small and medium-sized businesses. The prime minister Dmitry Medvedev is appointed responsible for these instructions. Till July 1, 2019 he should prepare the report on measures of support of hi-tech projects of the SMB-companies. The president's special representative concerning digital and technology development Dmitry Peskov told on February 11, 2019 about the general vision when developing approaches to the national strategy of development for artificial intelligence in Russia. "Agency of Strategic Initiatives" (ASI) jointly with Sberbank according to order of the president Vladimir Putin is engaged in their development. According to Peskov, there is already a common understanding that do not cost the purpose of creation of any separate system under an assigned task, and the mechanisms which are already existing within "A national technology initiative" and the Digital Economy project will be used. Now we look attentively at what is done by other countries, and we are faced by a difficult task – separation of hype from contents, - Peskov tells. In this sense we will have the national strategy relying on the best achievements of our mathematical and physical schools, but not senseless replication of the solutions created in other countries, - the president's special representative concerning digital and technology development noted. Added sands that within "A national technology initiative" 2 competence centers on artificial intelligence are created: one based on Physics and Technology faculty on specialization in the field of speech artificial intelligence, and based on ITMO – with specialization in the field of cognitive researches. It is supposed that in the nearest future competition which prepares Rosatom State Corporation, on creation and development of general "road map" in the field of artificial intelligence will be announced. And to this development in addition to institutes can the largest companies will join. Sberbank and Rostelecom, "Yandex", Mail.ru, Rostec already declared determination to participate in this development, Dmitry Peskov said. Sberbank participating in development of approaches in the field of the strategy of AI actively develops the activity in the field of these technologies. In bank there is a laboratory of artificial intelligence. In February Sberbank also made the decision on creation of laboratory of neurosciences and behavior of the person which will conduct scientific research in the field of neurophysiology, social psychology and cognitive science and to implement results of scientific developments in daily practice of the company. On January 30, 2019 the President Russia Vladimir Putin approved the list of instructions according to the results of a meeting of the supervisory board of ANO Agency of Strategic Initiatives on Promotion of New Projects which took place on January 15, 2019. One of instructions concerns development in the country of artificial intelligence technologies (AI). In particular, to the Government of the Russian Federation till February 25, 2019 it is entrusted to develop approaches to the national strategy of development for artificial intelligence with participation of Sberbank and other interested organizations and to provide the relevant proposals. The prime minister Dmitry Medvedev and the head of Sberbank German Gref are appointed actionees of order. At the end of 2018 TAdviser prepared the overview devoted to development of artificial intelligence technologies and machine learning in Russia. According to forecasts of TAdviser, this market will promptly grow and by 2020 its volume can already reach 28 billion rubles. The experts polled by the edition also see the enormous market potential of AI technologies. However so far on it still there is a huge shortcoming of the corresponding specialists. The companies experience difficulties searching, attraction and deduction of such employees. increasing expansion of scopes of AI. In more detail about market situation of AI technologies in Russia, key trends and competence of market participants read in the overview of TAdviser "Artificial intelligence of 2018". According to a research, most often methods of machine learning are applied in discrete production (mechanical engineering, aircraft industry, instrument making, etc.) – 44%, in process production (metallurgy, chemistry, petrochemistry, oil processing and oil production) - 22%, in power industry – 11%. The remained 23% of the considered projects are at an early stage of development, as a rule, these are scientific works of the universities investigating application of the AI methods in new spheres for the industrial sector. Such methods as multilayer perceptron ((D) MLP) – in 14% of cases, a support vector machine (SVM) – in 14% of cases, ultraprecise neural networks (CNN) – in 11% are applied to solving of tasks of IIoT and industrial analytics. The majority of applications of methods of machine learning belongs to predictive analytics (Predictive analytics) – 26%, and descriptive analytics (Descriptive analytics) – 23%. Also rather often these methods are applied in the field of control of robots and robosight – 14%. According to a research, in discrete production the AI methods are used first of all for increase in service life of industrial equipment and increase in efficiency of its maintenance. "The predictive analytics helps industrialists to obtain information on a residual resource of industrial assets, and the ordering analytics also makes recommendations that it is necessary to make for prevention of failures in work and prevention of accidents", - the managing director of Tsifra company Rastopshin Pavel told. The second scope is robotechnology and robosight when systems or models which are capable to train industrial robots in effective actions without participation of the person are created. "The first direction more optimizes maintenance costs of industrial fund, and the second is perspective in terms of generation of profit. 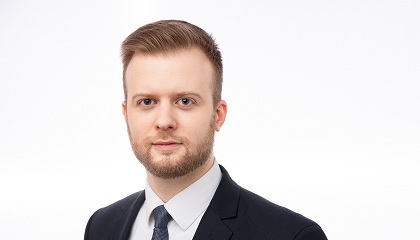 If the first scenario in Russia is possible at development of monitoring systems of the equipment and industrial Internet of Things, then the second direction is yet not so active in connection with low robotization of domestic production", - Rastopshin explained. According to him, in process production the same scenarios with predictive analytics and the ordering analytics for more effective use of the equipment, as in discrete production are used. But more perspective in terms of influence on economic indicators of the enterprise are systems like "digital adviser" for digital control by technology processes. The most part of the studied examples is connected with quality control of products or its prediction. "At the same time Russia can become one of leaders in use of AI in process production (metallurgy, an oil and gas industry, chemistry). It prevails in structure of GDP of Russia and is more technology ready to implementation of innovations at the expense of the saved-up data array. At the same time the majority of foreign works considers first of all discrete production", - Rastopshin emphasized. Experts noted that the most advanced methods, such as training method with a reinforcement (a self-training system where trained earns "reward" for the most effective algorithm of actions), in the industry are practically not used owing to novelty and complexity, though can give essential effect. The Moscow Department of Information Technology (DIT) assumes that in 2018 there will be explosive growth of platforms, systems and mobile applications based on artificial intelligence and neural networks. At the same time, consider in DIT, new solutions using AI should be expected not only in already existing fields of its application – in the financial sphere, in health care, on transport, but also in essentially new. Receiving the training selection of sufficient volume and quality and also possible errors in it will remain the main problem for developers of such platforms at the same time, - told TAdviser in DIT. The CEO of RT-Inform (enters into Rostec state corporation) Kamil Gazizov also expects significant jump of development in the field of artificial intelligence. Today almost all technology leaders stake on it, he is sure. At the same time one of the perspective directions - implementation of artificial intelligence in fight against cyberthreats. In 2018 it will be possible to observe the increasing "race of arms" between those who protect information and those who crack systems. The information security of corporation was and remains one of the most relevant IT tasks. RT-Inform intends to increase quality of means and technologies of protection, including using Artificial intelligence and also to develop the unified approach to their use at all enterprises, - Kamil Gazizov in a conversation with TAdviser noted. Mikhail Kononov, the director of the department of development of the software and architecture of "Home Credit Bank", believes that in 2018 it is possible to expect the increasing participation of the machine learning models in operational processes of the companies. We actively build the platform for analytics online using ML (machine learning) and the DL (deep learning) models that better and timely to provide client requirements, - the director of the department of development of the software and architecture of "Home Credit Bank" tells. Earlier the vice chairman of the board of "Home Credit Bank" Sergey Scherbakov mentioned artificial intelligence among technology priorities of bank in an interview of TAdviser. Artificial Intelligence technologies are inseparable from Big Data as data are a basis at which artificial intelligence technologies can work, he noted. And these two technologies, according to him, in "Home Credit Bank" already develop — as independently, and in interaction with the financial technical-companies. In particular, they are applied in the course of adoption of credit solutions. It should be noted that in the financial industry interest in artificial intelligence technologies is especially high - in the company declared many Russian banks demand and development of these technologies. Sberbank considers that in 5 years 80% of all decisions will be made using artificial intelligence. Alfa-Bank predicts that the industry will actively pass to deserted technologies, and in 3 years clients in 50% of cases will communicate with bots. In October, 2017 the B&N Bank declared plans to start artificial intelligence technology in work with arrears in retail business. The program will identify clients for whom reminders and consultations are necessary and also those borrowers to whom to call in principle is useless. Thanks to artificial intelligence the B&N Bank expects to save 1 billion rubles in 2018. The technology in bank is already used at the kollekshena at early stages of arrears. Demand for artificial intelligence technologies, machine learning many Russian customers and in other industries sounded earlier, including a public sector. So, FTS in 2017 began to use artificial intelligence in a personal account of individuals and is going to develop this project in 2018. The new version of a personal account of FTS uses the chat-bot helping people to resolve the issues connected with tax administration. It it is necessary to teach to work with the database which enters about about 150 thousand different life situations. The head of department of IT of Rosimushchestvo Aleksandra Osipova at the TAdviser SummIT conference in November, 2017 among plans of department for digitalization mentioned application of elements of artificial intelligence when forming revenue forecasts of the federal budget and plan of privatization and using technology of a blockchain for the organization of interaction with other authorities. At the end of 2017 also the Department of project activity of the Government of the Russian Federation offered the prime minister Dmitry Medvedev the concept of a new system of law enforcement in which the artificial intelligence will be used. 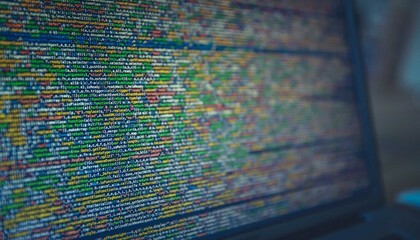 As envisioned by authors of an initiative, on standard affairs the artificial intelligence could generate independently judgments and check solutions for errors and a corruption component. AI technologies are interesting also to retail. So, the retail network "Dixy" is ready to replicate the solutions using "computer vision" for recognition of goods and persons of buyers combined with artificial intelligence. 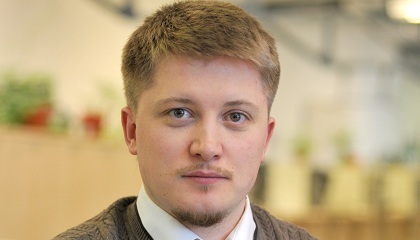 Dmitry Livshits, the CEO Digital Design, believes that they from customers in 2018 will be demanded use of machine learning technologies for automation of basic productive activity and automation not of specific business processes, but tasks on a joint of essentially different data domains giving to the customer competitive advantage, the CEO considers Digital Design. The CEO of ABBYY Russia Dmitry Shushkin assumes that in 2018 the companies will begin to rely even more on artificial intelligence for decision support, quality improvement of work with clients and creation of digital services. Analysts of PwC conducted survey of 2000 top managers of the large companies: already today in strategic questions heads in 41% of cases are based on the analytical data obtained using machine learning technologies. This trend will amplify in 2018, Shushkin is sure. Most likely, AI will be used more actively in such business processes as reputation management of the company. Algorithms of AI will be able to help specialists to cope with big flow of untrue reports: trace such news and reveal unreliable information, the CEO of ABBYY Russia shared with TAdviser opinion. In 2017 personal assistants actively developed: we saw the birth of Alice of Yandex, there was a task scheduler of Yva, new features were added to Amazon Echo and Alexa. I assume that in 2018 demand will grow by AI for the solution of more major problems: for example, for request processing in technical and client support of the companies, for decision making about registration or opening of customer accounts, for assessment of investment, technological, management or other risks, - Dmitry Shushkin notes. 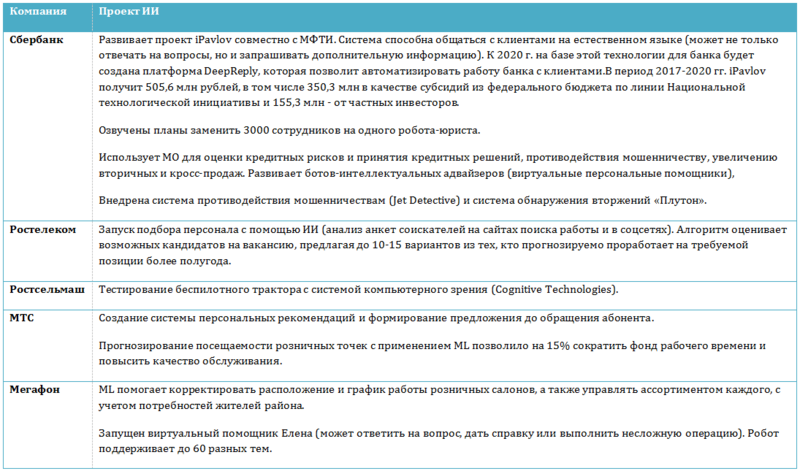 Based on the research "Current Trends in the Market of Artificial Intelligence and Machine Learning" conducted by analytical center TAdviser and Jet Infosystems company (to download complete report version), the size of the market of artificial intelligence (AI) and machine learning (ML) in Russia will be about 700 million rubles in 2017 and will grow to 28 billion rubles by 2020. The financial sector, retail and the industry will be drivers of this market. 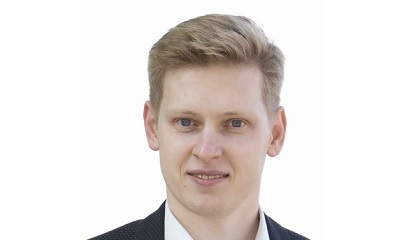 We initiated this research to estimate a real condition of the domestic AI/ML market: public data on this direction still are not enough – the Russian companies do not hurry to tell about the technologies giving them competitive advantage, – Vladimir Molodykh, the head of directorate on development and deployment of the software of Jet Infosystems company comments. – The received results allowed us to be convinced of correctness of the course towards development of the AI/ML direction selected by us. Business shows today keen interest in similar implementations as they allow to increase considerably profit on already available resources – and all this at small (only several months) a payback period. Such conclusion was drawn according to the results of poll of representatives of 100 companies working in Russia – IT heads, heads of departments of digital services / the digital transformation influencing decision making in the field of IT. For the analysis of a world situation data of the different analytical agencies (IDC, Gartner, Markets and Markets and so forth), the consulting companies and vendors were used (PwC, Teradata, SAP and so forth). In the world the number of projects in the field of AI and ML for 2015-2017 grew many times. If in 2015 only 17 projects executed by the large companies, then for the first half of 2017 – already 74 projects were globally announced. In total in 2015-2017 162 such projects in 28 countries and 20 industries were recorded. In 85% of cases it is about the implemented projects, in 15% plans or test implementations for all industries except for state structures where the share of test implementations and announcements is estimated at 60%. The main share of customers of such initiatives – large business (85%). The USA is in the lead on the number of projects of AI/ML. Great Britain where these solutions are often used in large investment banks and also India servicing this group of customers follows. The domestic segment of artificial intelligence and machine learning is on initial stage of formation so far and considerably concedes in volumes to the large AI market of the USA. Practical application of technologies brakes need enough high investments into projects at doubts of business in their expediency. Until recently there was practically no evident demonstration of connection of technologies with the existing business processes and a possibility of their improvement. At the same time effective implementations often remain closed, the companies innovators see sources of additional competitive advantage in results of such projects and do not hurry to share them. Besides, some heads of the Russian companies note that business at today's level of automation on average is not ready to use of such tools yet. An essential barrier to development of the business focused AI in Russia – computing powers. 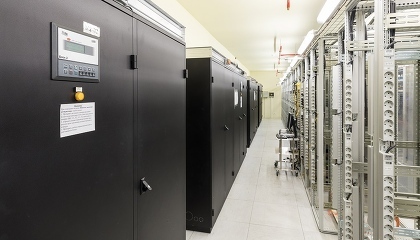 For activation of projects it is necessary to provide the corresponding development of high-performance infrastructure. Nevertheless, by this moment in Russia there are already examples of implementation of ML which prove efficiency of use of these technologies and advantage for business. So, in retail growth of conversion to 15% when using commodity recommendations based on machine learning was mentioned, at the same time the number of manual transactions can be reduced to 50 times. In several polled banks from TOP-5 consider that in 5 years about 80% of all decisions will be made using artificial intelligence and predict that the industry will begin to pass actively to deserted technologies (in 3 years clients in 50% of cases will communicate with bots). The industrial sector closes top three on implementation of AI, however percent of penetration of technology into the companies from this industry so far at a low level. Most the polled organizations applying technologies ML do it for the purpose of cost reduction (72%) and also for quality improvement of the products or services (68%). In addition by a number of respondents it was mentioned that tools are often used by them for problem solving, connected with security. More than a half of respondents consider that AI can provide to business new economic benefits. More than a half of respondents are sure that their costs for AI/ML in the next 3–5 years will grow, and about a third of respondents gives number in 15–20% a year. As for the directions of use of AI and ML, most openly the companies speak about use of bots or systems of speech recognition. At the same time almost all respondents confirm that they are satisfied with the existing quality and functionality of solutions taking into account a stage of their development. Owing to the insufficient level of development of technologies and also low level of awareness on them most of respondents find it difficult to specify what AI tools are not enough for them today, appealing mainly to more intellectual search and intellectual marketing. First of all the polled companies are interested in collecting of relevant statistics about results of the implementations implemented earlier. It will become a basis for decision making about new projects or initiatives in the field of AI. At the beginning of 2016 David Yang, the founder of ABBYY company, announced start in the USA of the new project – Findo. Findo is the intellectual assistant which it is intended for information search on the Internet, in a cloud and local files. Unique capability of the assistant is recognition of the natural speech (the truth, only in English so far). For search rather "difficult" requests can be used. For example, Findo is capable to work with requests, a type: "find documents which I edited last Wednesday", "show the letter which to me was sent from yesterday Moscow", etc. Yandex Company applies artificial intelligence technologies in the search mechanisms long ago. In 2016 work is conducted over creation of the neural network capable to bring the principle of work of the searcher to new revolutionary level. The traditional search algorithm is based on comparison of maintenance of a request to content of the analyzed pages. Certainly, all this becomes with some additions and expansions – requests are reformulated, synonyms are added, translated into other language, etc. In new approach to each request the certain vector number which is most precisely reflecting its sense is put in compliance. Further search is performed on this number. At the same time the request and the answer can not have any common word. Everything that will integrate them - it is identical sense of contents. It should be noted that in the long term in vector number will be able it is translated images and video that, according to representatives of Yandex, will allow to expand borders of "smart" search considerably. In 2016 "Yandex" released upgraded version of the browser in which artificial intelligence technologies allow to personalize search according to the interests of the user. The new service received the name "Zen". "Despite variety of information in network, it is not so simple to find something really interesting to itself. The zen solves this problem. In many respects it is similar to the search system. Only if search looks for something certain, then the Zen responds to wider request: that to interestingly specific person. We are sure that in the future all browsers will go the way personalisation and to help users to select content", - Victor Lamburt, the head of Yandex service. Zen. The zen not only considers in what users traditionally are interested, but also analyzes their current preferences. For example, if the person becomes interested in anatomy, then the materials connected with this subject in his news feed will become much more. At the same time, the Zen is not limited only to the favourite websites and preferences of the user. Materials from absolutely unfamiliar sources can be offered the user if the Zen considers that they can interest him. Use of artificial intelligence technologies in service of Yandex.audience is rather interesting. This service allows the companies to find in the Internet of target clients for the purpose of more effective targeting of advertisements. It is enough to load into service the list of clients with phones and/or e-mail the addresses, and a system, scanning social networks using artificial intelligence, finds these people in the Internet. Further it is possible to break clients on target groups and to personalize for them via Yandex.Direct advertisements. For example, the target audience can offer unostentatiously new goods, or eventually to incline users to purchase of goods in which they were already interested earlier. One of the main achievements of the Russian Abbyy is the Compreno system allowing to analyze and understand the text in a natural language. Specialists of the company worked on creation of this system about 10 years. Project cost was more than $80 million. The collegiate adviser Semyon Nikolaevich Korsakov (1787 — 1853) set the task of gain of opportunities of reason by means of development of scientific methods and devices having something in common with the modern concept of artificial intelligence as amplifier natural. In 1832 S.N. Korsakov published the description of five mechanical devices invented by it, so-called "intelligent machines", for partial mechanization of cerebration in problems of search, comparison and classification. In construction of the machines of Corsac foxes for the first time in the history of information science used the perforated cards playing at it some kind of role of knowledge bases, and machines in essence were forerunners of expert systems. ↑ the analysis more than 100 scientific publications containing information on use of artificial intelligence technology and the detailed description of the applied technology laid down. Experts were come into the view by projects of the research and commercial organizations from 27 countries. The greatest percent of publications from the USA (32%), China (12%) and Germany (10%). Other countries, including Russia, are provided by point projects.